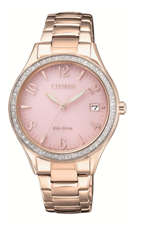 This stunning watch for ladies comes with an attractive pink dial encased with crystals and rose gold tone bracelet. Made with water resistant technology of up to 5 bar, this precision driven Eco-Drive watch is crafted for sophisticated and fashion forward women of today. 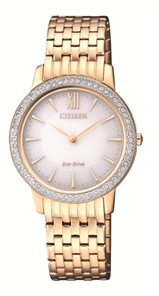 This 43mm Citizen Eco-Drive AT8124-91Lwatch is a combination of technological mastery and sophistication. Featuring black stainless steel case, sapphire glass, and a silver toned strap which compliments it beautifully. 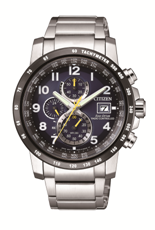 This timepiece is water resistant up to 20ATM which makes it suitable for diving.